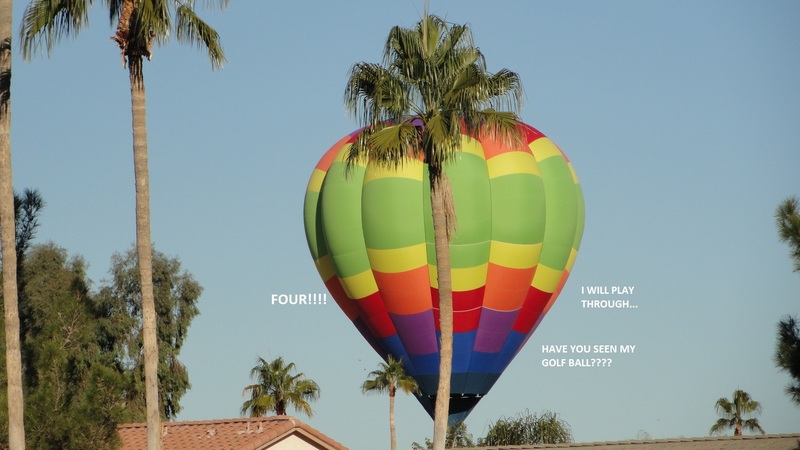 You see them floating effortlessly through the sky all over the East Valley of Arizona. They are so colorful and fun to watch. 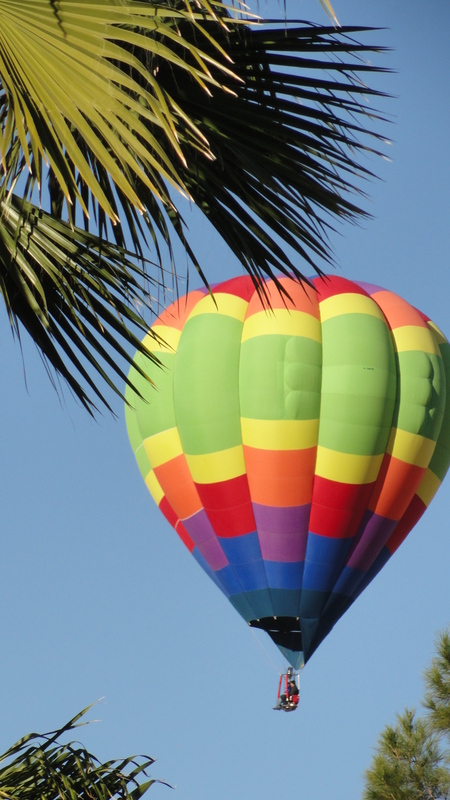 Normally they take off and land in a wide open space but this particular balloonist found himself right smack dab in the middle of Sun Lakes Arizona landing on the golf course! One of our clients shared this photo when the balloon landed on the Ironwood Country Club golf course recently. Sun Lakes is an active adult community that borders the southern and western side of Chandler. With almost 10,000 homes the winters are jammed with people from all over the United States, Canada and all over the world really who come to enjoy the mild winter climates and tropical resort lifestyle. With 99 holes of golf, 27 tennis courts, 12 swimming pool and so many amenities, clubs and organizations it is no wonder Sun Lakes ranks as one of the top choices for active adult winter homes. Sun Lakes is comprised of five separate communities. Sun Lakes Country Club, Cottonwood Country Club, Palo Verde Country Club, Ironwood Country Club and Oakwood Country Club. Each community has their own amenities and restaurants. Three of the communities are gated – Palo Verde, Ironwood and Oakwood. Homes range in square footage from 1000 sq ft to just under 4000 sq ft. Brilliant blue skies, mild winters, world class amenities and the fantastic lifestyle is why clients tell us they love Sun Lakes. And you just never know who might “drop in” or where they may land! Admittedly this is a rare occasion but just some of the fun that happens in Sun Lakes. We thank our clients Wayne and Sue in Ironwood for sharing their photos with us. If you are thinking about a winter home or a year round home Sun Lakes is a great choice! Call us at 480-440-0849 for more information about the community or the real estate in Sun Lakes Arizona. The KOLB Team is a full time top producing real estate team and we live in and specialize in Sun Lakes real estate! See our videos of the Sun Lakes community and some of our listings on our You Tube Channel!